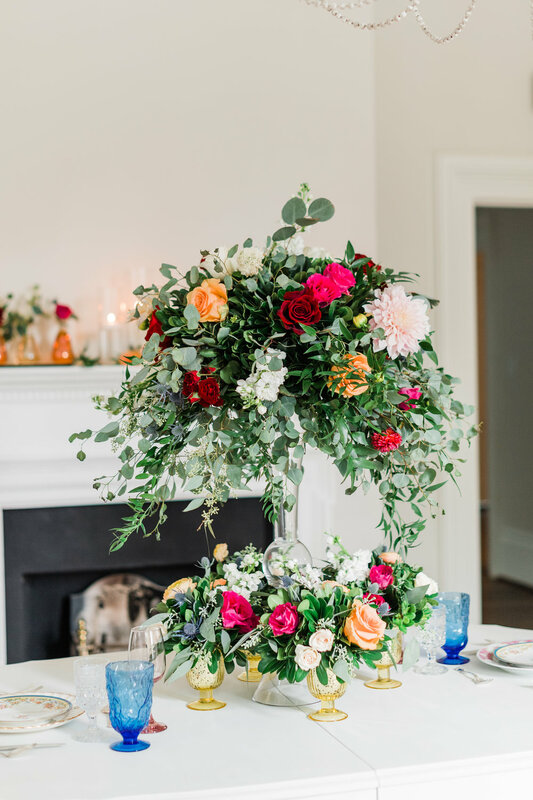 When we first thought about expanding into Greensboro I met up with an old friend of ours who use to work in Raleigh, relocated to Greensboro, and opened her own fabulous planning company - Carly Marie Events. Carly and I met for coffee at one of my favorite spots The Durham to discuss our plans, get her insight on the Greensboro market and her guidance. As soon as we left I was sold and completely confident about our expansion!! 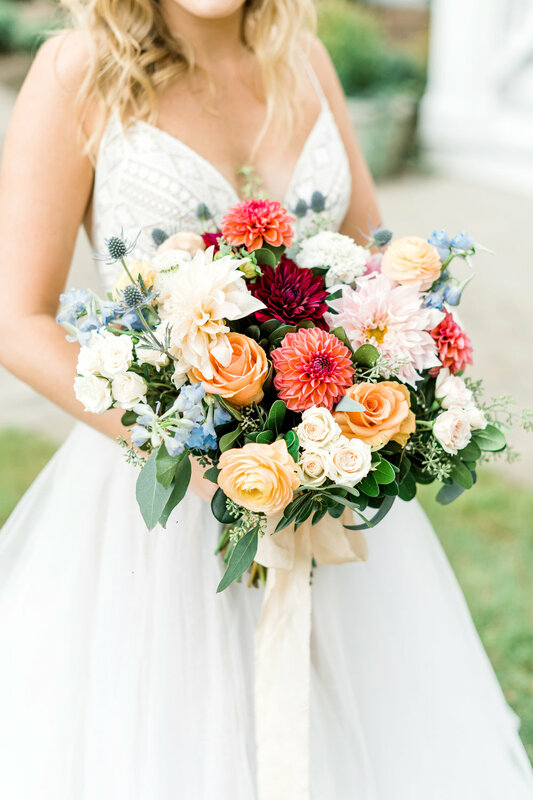 Greensboro reminds us so much of everything we love in Durham: community, a city with a small town feel, an amazing network of wedding professionals and most of all AWESOME brides and grooms!! 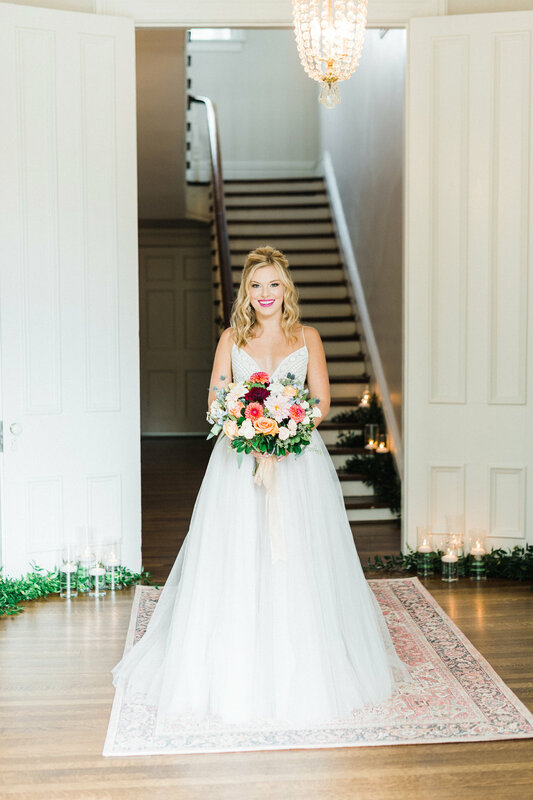 We have had some great opportunities already in Greensboro but one of our first (and one of my favorites) was a photoshoot at the gorgeous McAlister-Leftwich House. 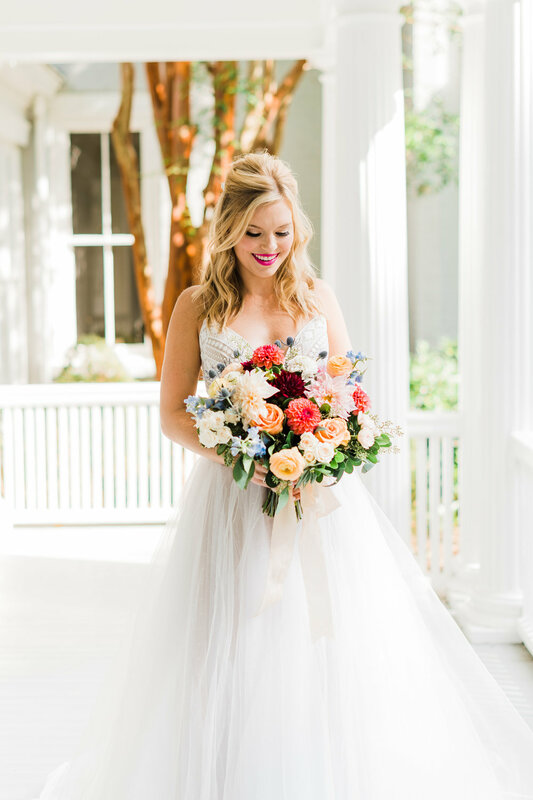 We are totally crushing on this venue - it is the perfect combination of southern charm meets modern elegance (the Tre Bella design misson statement!!). 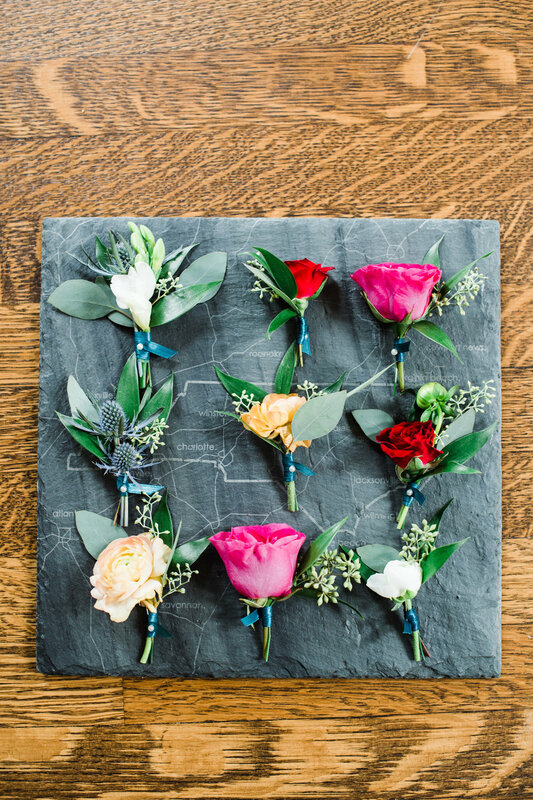 We of course brought in Carly Marie Events to do their thing - because lets be real we have the flowers and the dresses down but we leave the planning to the experts!!! We were both in complete agreement - COLOR, COLOR, COLOR - would be the theme of the shoot. 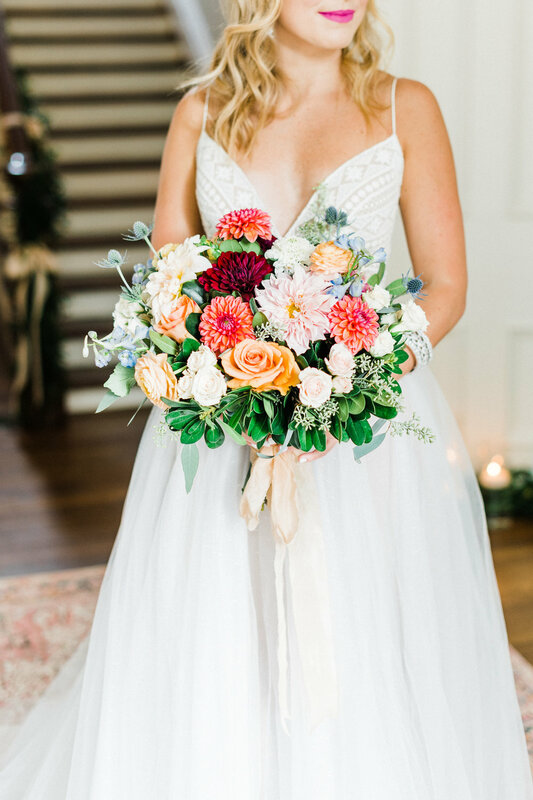 We chose a Willowby but Watters gown to feature and coordinate with our romantic/bohemian vibe! It fit our beautiful model Emily so perfectly!! 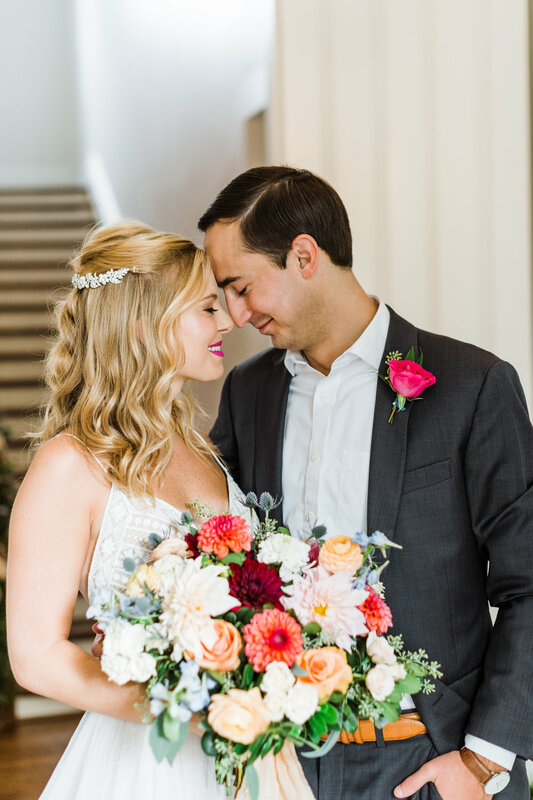 We are thrilled with how it turned out and so excited to share the images with you!!! We are also SO THANKFUL for all the new vendors we met and had the opportunity to collaborate with!! !